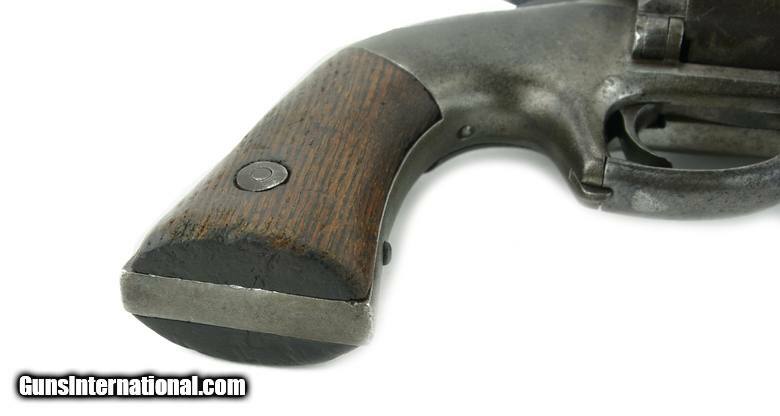 Allen & Wheelock Center Hammer Lipfire Army Revolver. 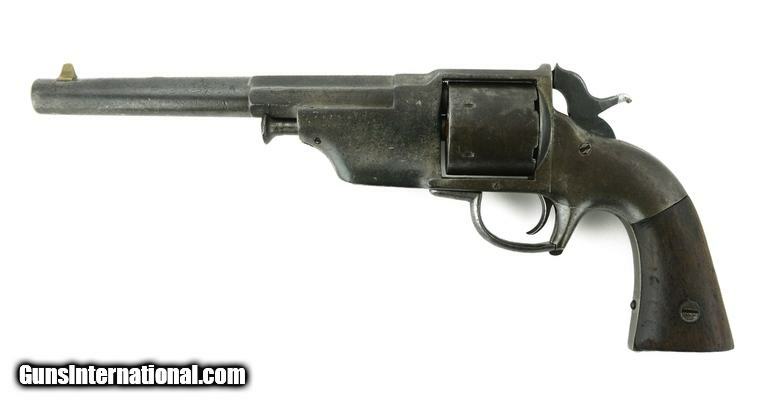 Scarce revolver estimated at 250 made in the 1860’s. Action works perfectly. The cylinder pin holds the cylinder well but the latch to lock it in place is missing. Bore has strong rifling. Gun has scattered pitting. Allen & Wheelock name on left side of barrel is partially visible. Rare gun in Lipfire.